super, sprich 6*: Love Me Again / Easy / Try / Out Of My Head / Cheating / Running / All I Need Is You<br><br>gut, sprich 5*: Tribute / Losing Sleep / Gold Dust / Goodnight Goodbye<br><br>Schnitt: 5.6363636364 -> die Höchstnote, was sonst? Tribute: *** ** <br>Love Me Again: *** * <br>Losing Sleep: *** *<br>Easy: *** *<br>Try: *** **<br>Out Of My Head: *** * <br>Cheating: *** *<br>Running: *** **<br>Gold Dust: *** **<br>Goodnight Goodbye: *** * <br>All I Need Is You: *** *<br><br>Durchschnitt: 4,36<br><br>Der junge John Newman besitzt wohl von Natur aus eine Gabe, die im Musik-Business sicher nicht von Nachteil ist: eine unverwechselbare Stimme. Wie andere spezielle Stimmen, z. 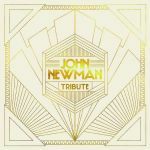 B. von Duffy oder Passenger, wird zwar auch die von John Newman auf Gegenwind treffen, aber mir gefällt sie im Großen und Ganzen recht gut - sie passt auch perfekt zu den lamentierenden Texten seiner Nummern auf diesem Album.<br><br>Die Songs kommen alle recht ähnlich daher - es handelt sich um schön instrumentalisierte Soul-Nummern mit viel Druck und Bombast, auch die Inhalte sind immer in etwa dieselben. Das ist auch der Grund, dass bei mir für "Tribute" keine bessere Note herausspringt: Es gibt zwar überhaupt keine Ausfälle, aber eben auch keine Tracks, die sich besonders hervortun und mich in Euphorie versetzen. Etwas mehr musikalische Facetten hätten dem Album sicher gut getan.<br><br>Dennoch kann ich für Freunde des Soul-Pops eine klare Empfehlung aussprechen, denn gut ist "Tribute" auf alle Fälle! On the whole, it's an album that I very much enjoyed. Very impressive for a debut album, and hopefully we hear more of the same quality of music in future albums.<br><br>What struck me the most is his voice. Hearing him for the first time ever in Rudimental's "Feel The Love" last year, followed up by another Rudimental song "Not Giving In", i was impressed with his voice, rich with soul.<br><br>I sometimes wondered what he looked like, and once I finally saw him, I was in complete and utter shock. 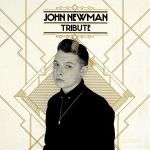 Needless to say, I wasn't expecting a young white kid.<br><br>Not sure what I would get next from John Newman, as in whether I would hear him again or whether he'd become a two-hit wonder with a song not even made by him loomed large.<br><br>Thankfully, he came to produce this. Upon the release of "Love Me Again" as a single, I was instantly impressed. Not just for the fact that it was a great soulful track, but also the fact that his voice so smoothly transitioned and fitted into different styles of background music.<br><br>The music mostly doesn't deviate from the "Love Me Again" formula, and it was the right thing to do because it is a formula that just worked throughout the entirety of the album.<br><br>Now that his voice fits so smoothly in to different types of music, I wonder if he'll venture further into different genres of music in the foreseeable future.<br><br>If so, good for him and I wish him the best of luck. If not, I'm perfectly fine with that as well, because if he keeps making music like this, I won't be complaining.<br><br>The highlights for the album were "Love Me Again", "Cheating" and "Gold Dust". ▒ Ik ben niet zo snel onder de indruk van een zanger, maar dit is één van de weinige uitzonderingen, de 23 jarige Engelse soulzanger: "John Newman" !!! Geweldig album, oktober 2013 ☺!!! Welch eine Entdeckung, da können wir uns noch auf viel freuen.<br>Ein Album voller tempo und Dynamik. Looking at him, you wouldn't expect that voice, and what a soulful and strong voice he has, it really carries even the weaker tracks on the album and makes them better. Fortunately there's not much here which would class as weak, for the most part it's a very catchy and enjoyable listen, with a great selection of singles. Außer der UK #1 war die Resonanz nicht sonderlich aufregend (auch nur US #24).<br>Für mich eine 3.5 plus. It's a surprisingly solid debut - strangely I think the singles actually let this album down, there are several tracks, particularly in the second half which show a better rounded voice, better songwriting and nicer production. I am mystified as to why Love Me Again was chosen as the lead single, since, for me, that was my least favourite track on here! All I Need Is You, Gold Dust and Easy are particularly good listen. If I could only get past the way that he says some of his words, I would actually really really enjoy this. 3.8/6.